One important way the BGH Auxiliary Volunteers make their impact is by operating revenue-generating services that enhance the hospital environment and the community. We invite you to patronize the Auxiliary businesses and consider VOLUNTEERING (click here to find out how to get started). The Aroma Cafe: Located just inside the doors of the Charlotte Sills Wing at BGH. This service provides refreshments, snacks, newspapers, sandwiches and more! The Aroma Cafe is also home to another fundraising endeavour, the HELPP (Hospital Equipment Lottery Program for People). These pull tickets go directly to supporting the purchase of hospital equipment. 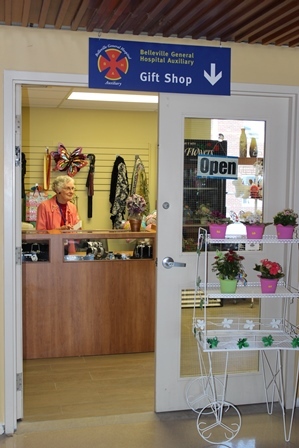 Located on Hastings 3 inside the Main Entrance, this quaint shop contains gift items, cards, baby attire, ornaments, accessories, jewellery and more. All items are extremely reasonable in price. Located on Quinte 3 near the administration offices. This tuck shop offers some food and refreshment options as well as books, personal care items, magazines and newspapers. 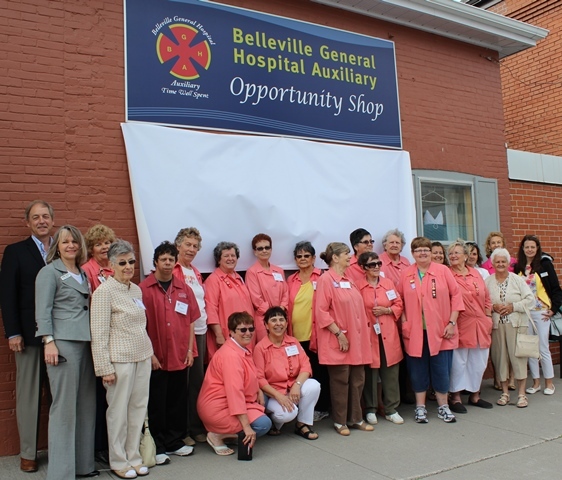 The BGH Auxiliary is proud to have operated the Opportunity Shop thrift store on Market Square in Belleville for 65+ years! The gently-used products sold raise money for the hospital, help recycle clothing and aid with providing quality products to those on a limited budget and to bargain hunters! Drop off your quality donations during business hours. Join us in supporting Cancer Care at BGH! The Opportunity Shop Volunteer team has set out on a mission to raise $100,000 over the next five years to support the BGH Foundation's Cancer Care fundraising campaign. Donate your gently used items in support of cancer care at your community hospital! Click here to join the BGHA team! 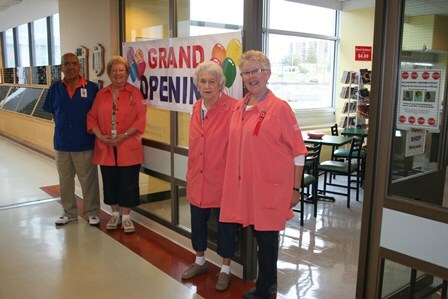 The Belleville General Hospital Auxiliary Inc. provides a variety of volunteer services for the clients and staff of Quinte Health Care Belleville General Hospital, and for the community. Its fundraising projects are designed to augment the equipment fund of QHC Belleville General Hospital. 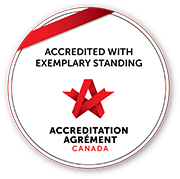 Contact us at 613-969-7400 ext. 2297 or bgauxiliary@qhc.on.ca.